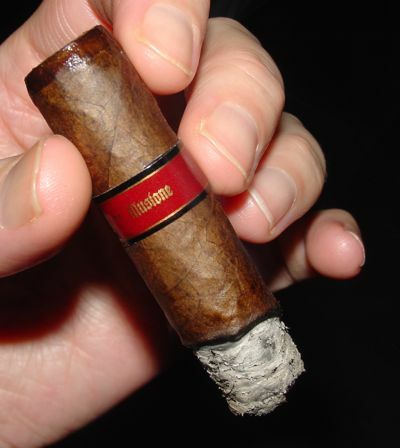 I have to admit that my experience with Illusione is limited to a single ~88~ and Epernay Le Grande, but I’m looking forward to picking up on a Maduro, and the ~cg:4~ size is right up my alley. Sounds great! Love the write up, especially the analogy to closing time. I really dig the entertainment factor that you and others such as Mr. Hewitt at SR put into your reviews. Thanks! I enjoy Hewitt’s reviews as well — and of course his (trademark) Tower of Burn. I prefer written reviews to videos, so I’m glad he’s still stomping on the keyboard like a few of us old diehards. Same goes for the Stogie Guys. 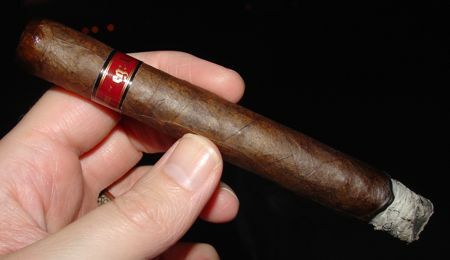 I’ll probably never make a cigar review video, and the world is better for it. As for Illusione — I love the f9 in the “original document” line. Check it out if you have the chance. I only had the Natural and it was so good to me. Not A big fan of San Andres so that’s why I kept distance. I wished it was a Pure.. I believe the ultra is nic made as well! Great review!